We are pleased to announce that, for the first time in many years, the Mayor of Redcar & Cleveland’s Civic Service is to be held in our benefice! 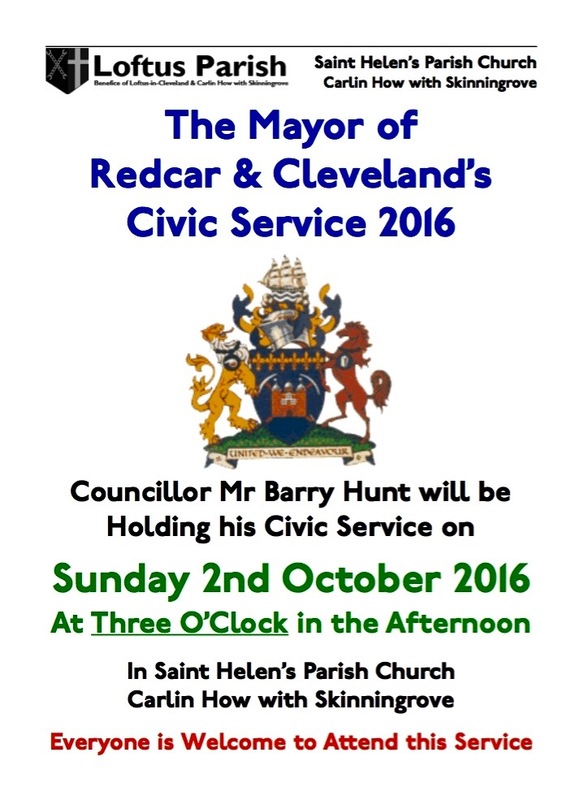 The Civic Service will take place at Saint Helen’s Parish Church, Carlin How with Skinningrove, on Sunday 2nd October 2016 at 3:00 pm and will be followed by refreshments. All are most welcome to join us for this very special service!